Why do so many people LOVE Packing Cubes? Do you ever wonder why you struggle to keep your luggage contents neat & tidy whilst everyone else seems to have it all under control? 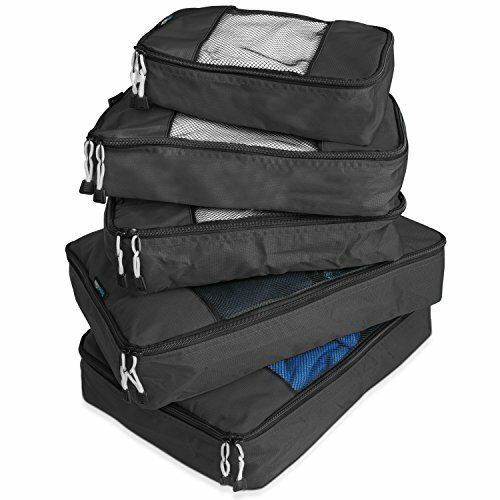 Packing cubes are an easy and affordable product to help you stay organized whilst on your holiday! We love personally use them and highly recommend them as one of the 'must-have' travel gear items. From a mess to organized! So which one of the many brands produce the best packing cubes? Trying to work out which are the best packing cube sets or what the best packing cube set is? In this packing cube buying guide, we suggest you check out our comparison chart, understand the different types of packing cubes to decide which are the best travel cubes for you. Then read our top packing cubes reviews 2019 of the cubes that best suit your requirements. We always keep our list updated with the newest and latest cubes, so you can rest assured that we have the best packing cubes 2019 has to offer! Why do so many people LOVE Packing Cubes ? Why use packing cubes for travel? What are the Best Packing Cubes for Backpacking? 1. What are Packing Cubes? 2. Do Packing Cubes Work? 3. How to Pack with Packing Cubes? 4. Do Packing Cubes Save Space? 5. How Many Packing Cubes do I Need? 6. What is the Best Way to use Packing Cubes? 7. To use Packing Cubes or not to use Packing Cubes! 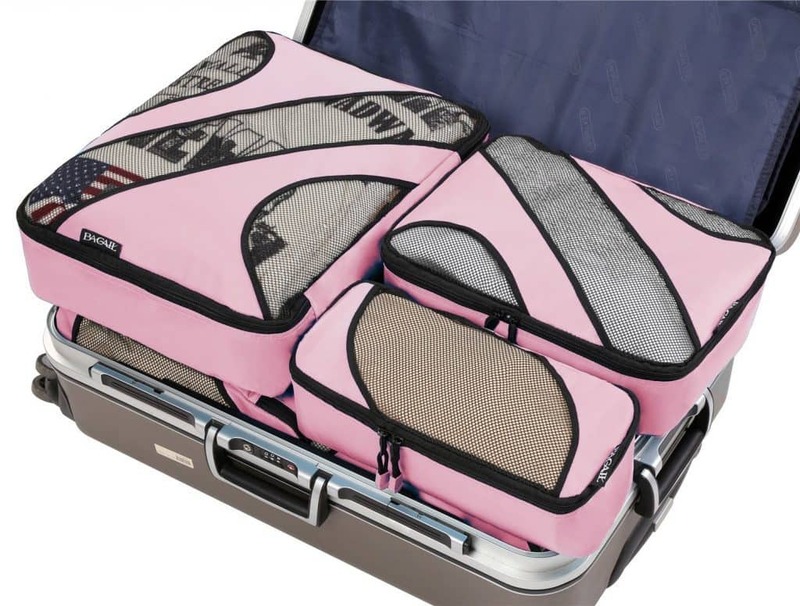 Luggage cubes help you to stay organized and keeps your suitcase contents tidy! Travel packing cubes are lightweight! The compression packing cubes are great for when you need the extra space in your bag! They are super easy to use! Choose to roll or fold your clothes, pack, zip and you are done! They are incredible value and come at a great affordable price tag!! WHOOP! Clothes no longer shift in transit! You can also use packing bags for travel diaper bags to compartmentalize various baby items for easy access purposes. Wondering what are the best packing cubes (best packing cells) on the market? Use the chart below to compare the best travel packing cubes 2019 has to offer. 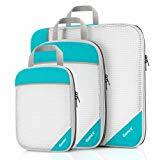 You can also read a detailed review of these packing bags below for more information on the best packing cubes system that will best suit your needs. As family travel bloggers we go on multitude of trips both domestically and overseas each and every year! 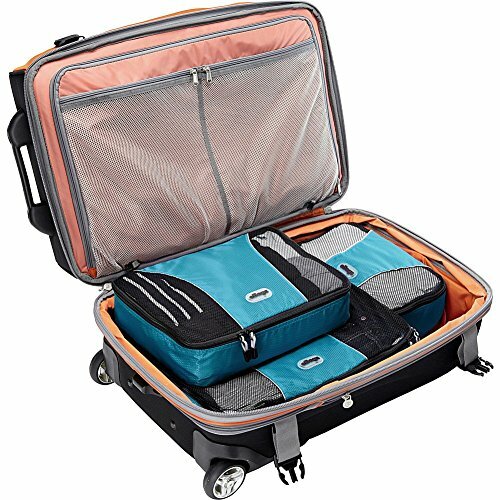 We discovered the incredible value of travel packing cubes (travel packing cells) when we watched our daughters fight over a suitcase they had to share! Their bag was a total disaster zone. Let's face it, it is even hard for us as adults to keep the bag looking great when we travel. ﻿As a family of five, we didn't even blink twice about investing in packing cubes for our travels! It ﻿keeps ﻿clothes, shoes and toiletries sorted and organized. Grab different colors for each of the kids. Packing cubes are the best packing organizers, we don't use anything else! For the backpackers, we know that you have limited space. Another important consideration is weight. We personally vote the Eagle Creek Specter Compression Cubes as the best backpack packing cubes. ​This style is popular due to the fact that it happens to be the best compression cubes for packing on the market which means that they will save you valuable space. Watch this short video below to see these fabulous cubes in action. Eagle Creek is a great quality brand. 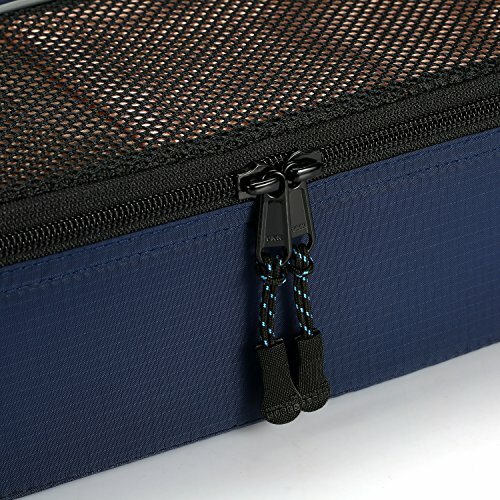 They offer packing cubes that have reinforced zips and seams to ensure that your cubes will last for many many trips. They are one of our top sellers every month and the top rated packing cubes. Click here to check the latest prices and deals for the Eagle Creek Compression Cubes. Basically, packing cubes are small containers with zips which are used to store and organize your travel gear for your holidays. The luggage cubes comes in various sizes, designs and colors. Different brands have different features on offer such as whether they aid in compression to save space or not. The cubes are great, as you can grab a container for your day without messing up the rest of your contents in the suitcase! They also come by different names such as packing cells, a luggage organizer, packing pods or travel packing bags. We love using packing cubes! Absolutely! I am yet to meet somebody that doesn’t enjoy the easy organized system that packing cubes offer! The trick is to figure out a way to pack that works for you! Some people sort out their day by day outfits into a bag, whilst others enjoy bundling up similar clothing items, such as shirts into one luggage cube. Don’t be afraid to try a few different ways of packing to find out which option makes life easiest for you! Wondering how to use packing cubes? We suggest you play with the various styles of packing here. Try packing by folding items and on another trip give the rolling option a go! Packing cubes (packing cells) are designed to help you stay organized during your travels. Most packing cubes will actually take up slightly more room. However if you are after packing cubes that save space, we highly recommend the Eagle Creek Compression cube set, which has specifically been designed to compress your clothes in order to save loads of space! That is a slightly tricky question to answer as it really depends on the size of your luggage and the length of your trip. Typically I find that one packing cube set is simply not enough! Two packing cubes of each size gets me sorted for short-medium length holidays! Video: How do packing cubes work? Packing cubes (packing cells) are brilliant but they are not for everyone! If you love to simply throw clothes into a suitcase and get the packing over and done with, then packing cubes might not be for you! 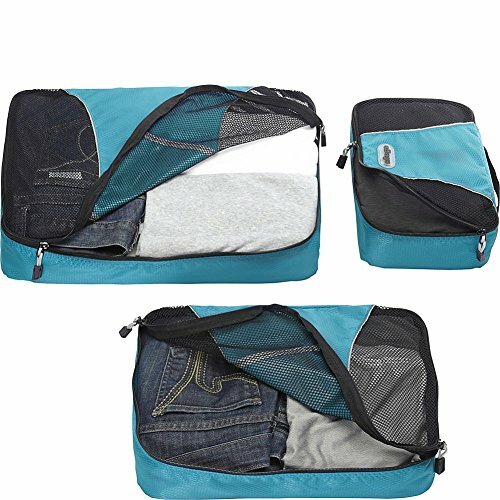 Packing cubes are brilliant for the travelers who love to stay organized. It is brilliant for families who wish to cube up each child’s clothes. Compression packing cubes are fabulous for those who which to save space. The question is, do you want to have an organized suitcase? Do you want to save space? 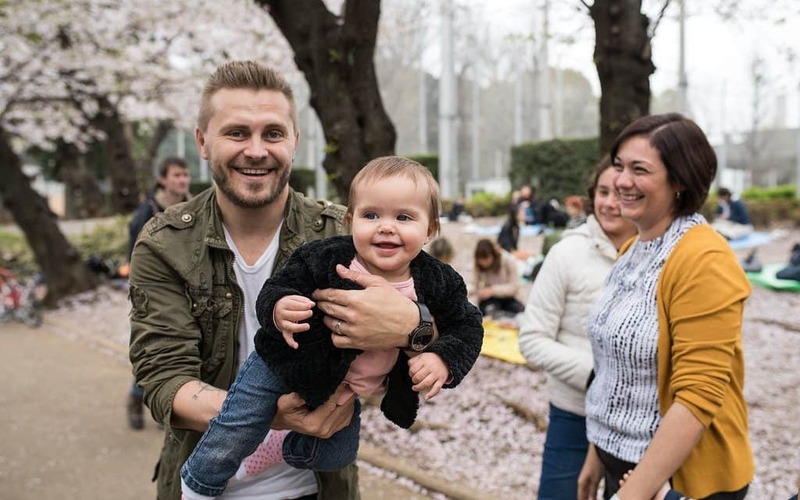 Do you want to make life easier when you travel with your kids … or your partner. So are packing cubes worth it? In my opinion, yes they are worth every single dollar! Below you will find suitcase packing cube reviews. We will share both the positives and the negatives of each brand so that you can choose the right suitcase organizer cubes for you and your needs. Ultra Lightweight Travel Packing Cubes! The PRO Packing Cubes are another hot favorite among travelers. So much so that over 80% of the buyers who bought these cubes on Amazon gave the product a full 5 star rating. These cubes are great as they offer you a mid-way point between the full compression cubes and those that don't offer compression at all. You will get around 30% compression from their cubes. They are also the lightest packing cubes as well. The medium size cube is the best packing cubes for carry on luggage or suitcases. They are durable and come backed with a lifetime warranty. What is not to love here!!? 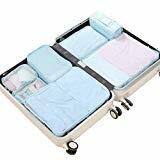 These packing cubes come in a variety of colors, including: mixed colors, aqua blue, bubblebum pink, cypress, eggplant, marine, red hot, silver gray, sky blue, sunset orange and white. They are super lightweight and won't add much to your baggage weight at all! These luggage cubes are durable and tough! They come in multiple color options, gorgeous bright and cheery options! They make use of YKK reinforced zippers, which means that you can open the cubes over and over and rely on those zippers to last! They offer a compression of around 30%, which is great if you need to try and save a bit of space in your luggage! Make sure you look up the sizes of the cubes before purchasing as the cubes look bigger than what they are in the photo! Try ﻿not ﻿to over-stuff your cube as the mesh might not cope very well with item bulging out. These are our favorite travel packing cubes! They happen to be the No.1 top travel accessory on Amazon and they also proudly take the place of the bestseller among packing cubes! Honestly, there is no need to look further! My only advice is to get one set of the Eagle Creek Compression cubes if you know you are limited in space. A combination of both packing cubes gives you the best of both worlds. Grab a set now, you will not be disappointed! 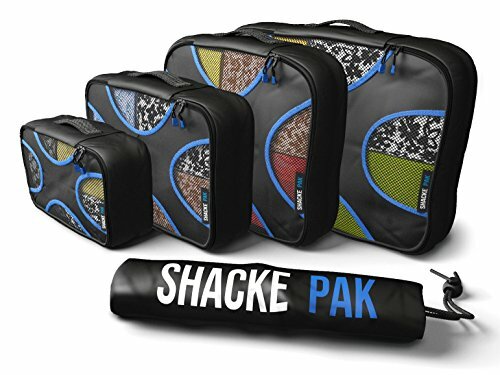 If you are looking for high quality packing cubes, than the Shacke Pak got you covered. This it one of the most popular packing cubes on the market today and the best selling packing cube set as well. 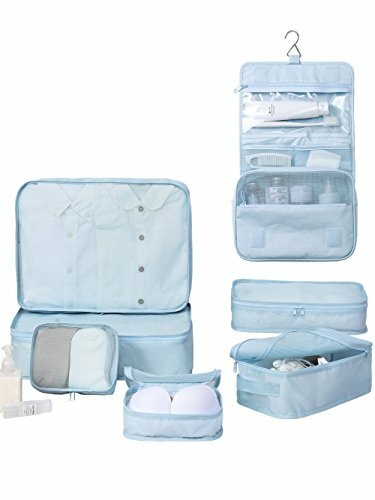 This set comes with 4 large capacity, durable and fashionable packing cubes and also comes in a variety of colors, including: Aqua/Teal, Dark Gray, Gentlemen's Blue, Green Grass, Orchid Purple, Precious Pink, Warm Red and, of course the Black/Blue. 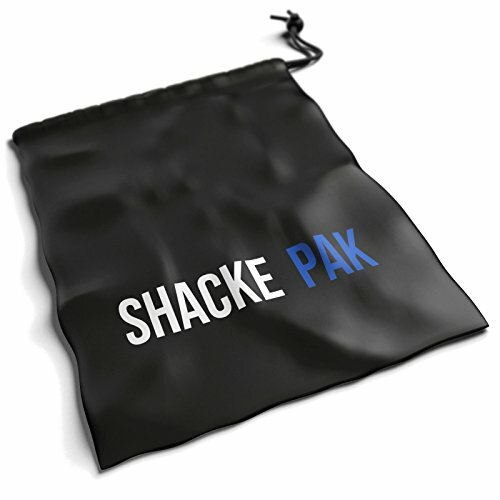 The Shacke Pak brand produces high quality nylon packing cubes that last! They are very lightweight, water-resistant and extremely durable! They are designed with "maximizing the space" in mind! The top layer has an X-design with double stitching for added longevity. They come in multiple colors, both ladies and for men! They all come with a 4-inch deep design, so you can fit large amount of clothing in each! They come with a bonus laundry bag, making it easy for you to separate dirty clothes from clean! They are not machine washable, not even on the gentle cycle! Do not use any fabric conditioners. These are our top packing cubes for families with kids. Because they all come with a 4-inch deep super-spacious design, these packing cells provide you plenty of space for more clothes than some other designs. 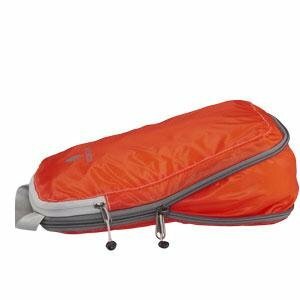 ​If you are shopping for best packing cubes for families, than you have found them here. My only recommendation is, make sure to grab yourself couple of sets. That way you will not need any more in the future. Hi Quality Nylon Packing Cubes! The Bagail packing cells are fast becoming one of the most popular and best selling packing cubes on the market today! 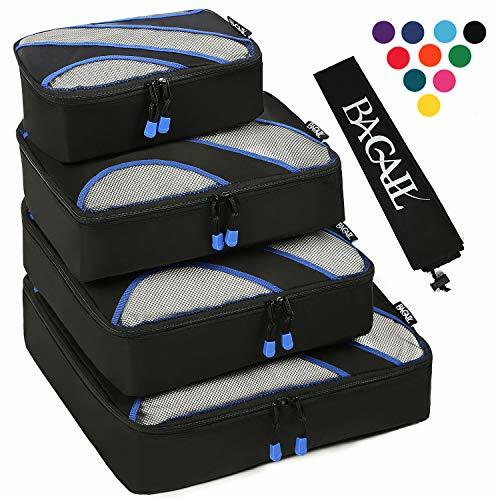 If you are looking for high quality and upper-level standard, than Bagail packing cubes got you covered! Not only, these are some of the best suitcase packing cubes for travel, these guys are made to fit all types of luggage like a glove. This Bagail packing cube set comes with 4 various sizes, all designed with different types of clothing in mind. 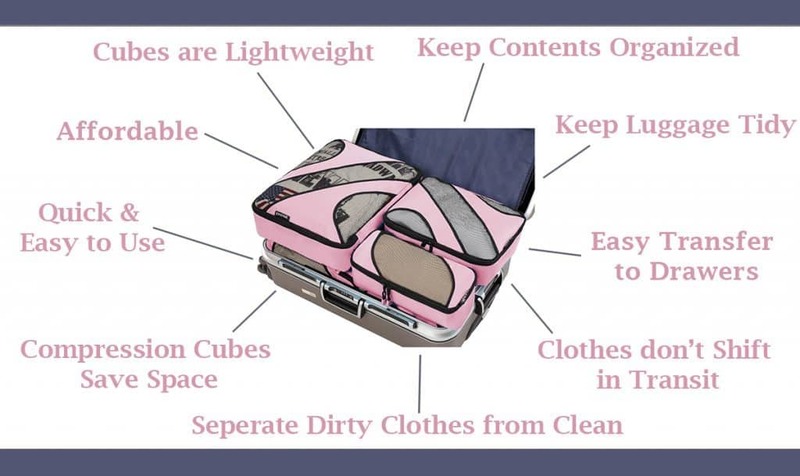 Whether you travel light or with a heavy luggage, you will have the right packing cube to put your things in! No wonder why these Bagail packing cubes are at the top of the list of every online story for this year! Comes in a variety of colors, including: Black, Blue Dot, Dark Blue, Geomtry Gray and Navy Dot. 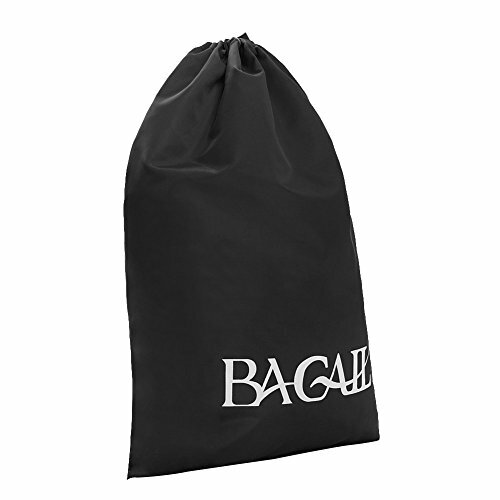 The Bagail packing cubes are made with a high-quality nylon. They are light-weight and super durable! These packing cell are made to last. 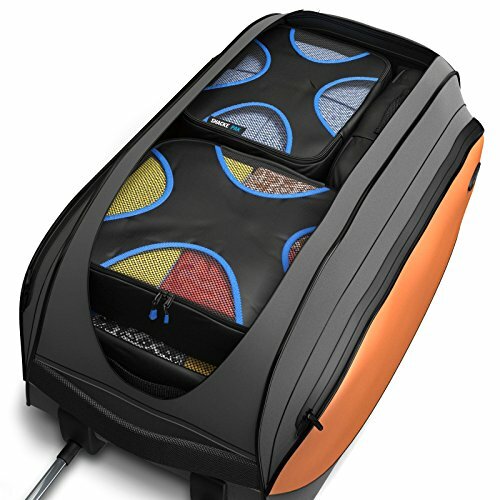 The top layer comes with a mesh, for easy identification of what is inside each cell. These cubes come in 4 very practical sizes to suit all types of luggage. They come in multiple color options to differentiate between the family members. Over-stuffing the cubes should not be an issue here, but it is not recommended. These guys are at the very top of the best seller list on most of the online stores for a reason! The packing cubes are great! This Bagail packing cube set is really well designed. With well thought out sizes, deep compartments and made from a very durable material, these cubes are well on the way to the very top of the charts. The Gonex packing cubes are all about luxury! With soft and smooth nylon fabric, these packing cubes are sure to impress. 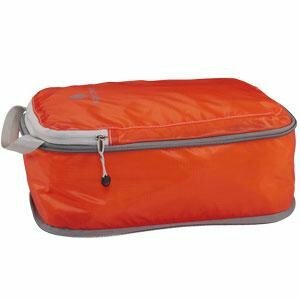 These packing cubes are very well made, durable and well ventilated as well! With the compression design, these packing cells are made to save you space and reduce stress of over-packing. These cubes come in a variety of style and colors, including: blue, deep-blue, gray, green, purple, red, tangerine, yellow and black. The Gonex packing cubes are made with a soft and smooth nylon. They are light-weight, luxurious and durable! These packing cell are compressible. These cubes come in 3 very practical sizes to suit all types of luggage. They come in a variety of colors as well. Over-stuffing may cause damage to the zipper. If you are looking for the affordable compressible packing cubes, then these cubes are the best choice for you! Gonex makes great quality packing cubes and this set is definitely one of the best they have made so far! We were especially impressed with the standard of the fabric used for such inexpensive packing cubes. Both thumbs up here! 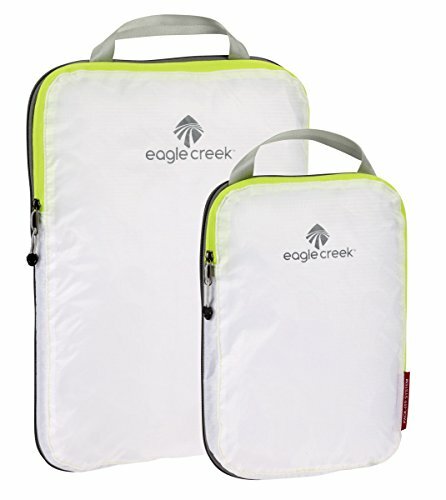 Eagle Creek is a popular name brand and happens to be a brand that is trusted among travelers. 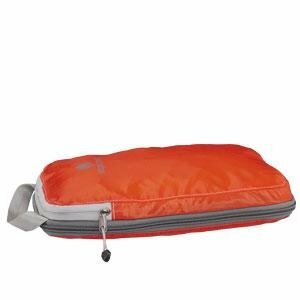 They have a wide range of travel packing cubes on offer, in various sizes, styles and designs. The bestseller among all the Eagle Creek cubes styles is the Specter range, although another favorite if you prefer to go without the compression are the Eagle Creek Pack It Cubes! This style is popular due to the fact that it happens to be the best compression cubes for packing on the market and also the best packing cubes for backpacking due to the fact that is saves you so much space. What an incredibly innovative space saving way to pack. HEE YAH! If you are after more space in your bag, then these is the luggage cubes especially for you! You can't go wrong with these best rated packing cubes. These packing cells come in a variety of colors, including: white/strobe, brilliant blue, sandstone blue, strobe green and volcano red. The Eagle Creek Packing Cubes compresses your clothing which saves you tonnes of space (﻿It can compress your things to around half the original volume)! YES!!! We all know that Eagle Creek products are based on quality! And if you aren't assured, then maybe the lifetime guarantee will put your mind at eaze! They are incredibly strong and compact. Made from ultra lightweight silnylon ripstop. Voted as the best travel compression cubes and the best clothing packing cubes! 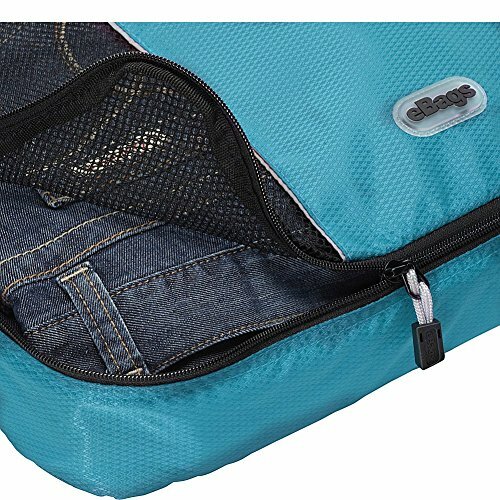 Rated as the best suitcase packing cubes and lean travel packing cubes! They come in multiple color options! Great for families like us, Katie-Lee gets the blue and Lily gets the green! They come in a set of 2 sizes - a large and a medium. We would have loved more options of sizes! Try ﻿not ﻿to over-stuff your cube as the zippers tend to break more easily when you use force to try and compress too many items! The cubes zip along the top which means that it can be tricky to insert bigger bulkier items in a neat manner! 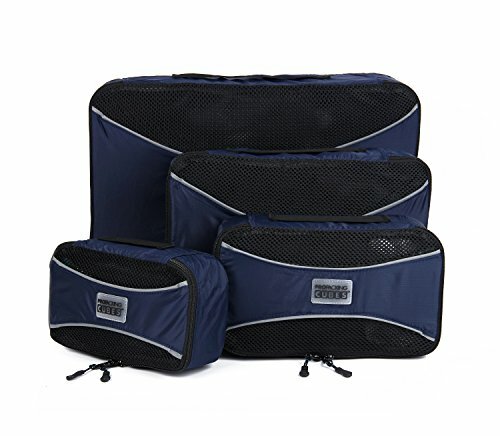 These compression packing bags are the perfect buy if you are after cubes that not only organize your luggage content, but that also manages to compress your items. Allowing you take more items with you. 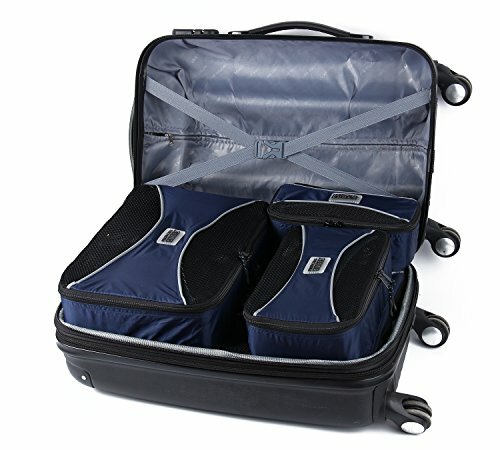 In my opinion, they happen to be a must-have item and one of the best luxury packing cubes! Add in a set of non-compression cubes and you are set. My packing cube review - both thumbs up! These compression cubes for travel are absolutely brilliant. I travel to colder regions a lot and these cubes are essential for compressing all my winter woolies!! I have gone back and purchase another Eagle Creek Specter Travel Cube set and then completed my stash with some normal non-compression luggage cubes for items that tend to wrinkle easily. These lightweight packing cubes are awesome for all that dirty washing too!! I'm addicted to packing cubes Eagle Creek!! JJ Power packing cubes are known for their stylish design and the soft-pastel color scheme. 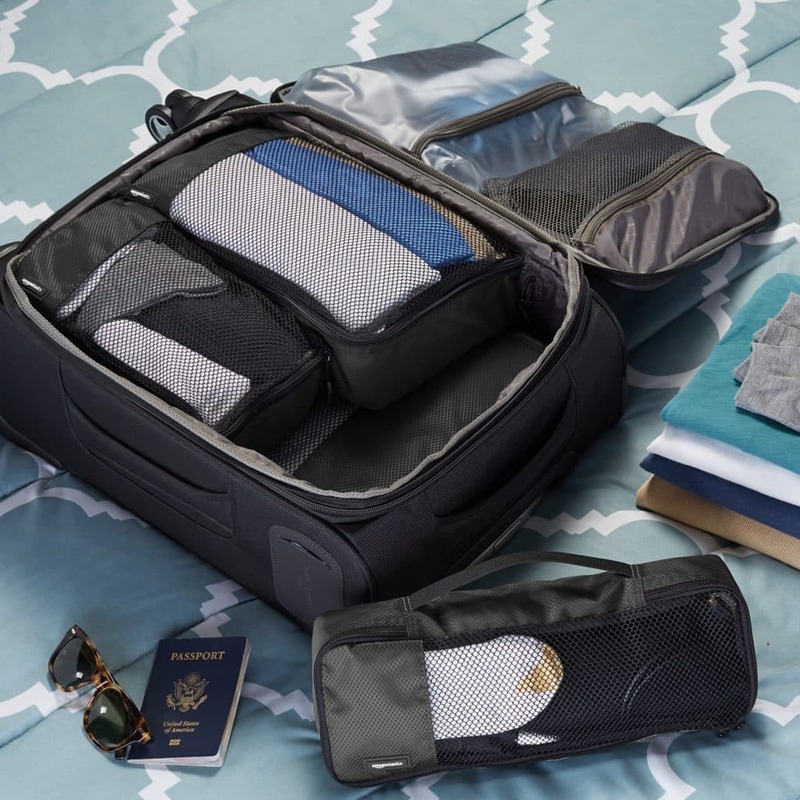 With a new and improved version of double-stitching, these travel organizers well deserve a spot on the top ten list of packing cubes for sure. Although not the cheapest option from the bunch, this set gives you 7 sizes of packing cubes to play with. Yes, you will have a cube for everything here! JJ Power packing cells come in a variety of colors, including: blue, 5-set lavender, 5-set gray, beige, gray, lavender, light-pink, navy and sea blue. JJ Power packing cubes are stylish, modern and come is large sets. Well designed, spacious and durable! Come with a new version double stitching system. Modern look and a large variety of colors. On-trend and come with 5-star reviews all around! Not good for over-stuffing, can bulge out due to its' soft fabric. JJ Power makes strong and durable packing cubes, no doubt here! Strong stitching, trendy design and stylish colors, all ticked here! What I like the most about these packing cubes, that they come in large sets. This way I can fit all the things that I need and only purchase one set! The eBags Travel Cubes are the #1 rated travel accessory on Amazon! And also happens to be the bestseller for luggage packing cubes!! These cubes come in a variety of gorgeous bright colors! The products are built to last, with durable Nylon, reinforced zippers and an inner material lined layer! They come in a handy set of 3 sizes. And they are brilliant, not only for using when you pack your travel bags, but also for simply lifting out of the luggage and placing them into the hotel drawers! 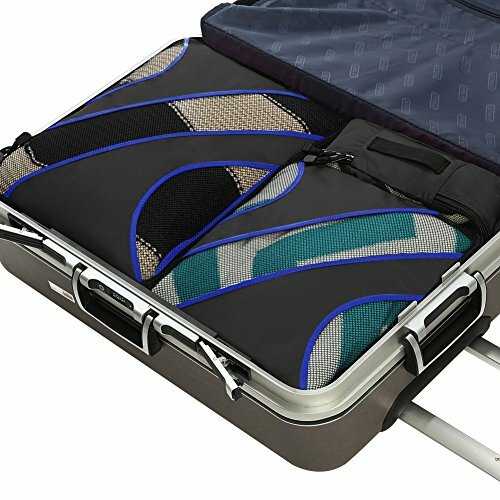 These luggage cubes are made to last! 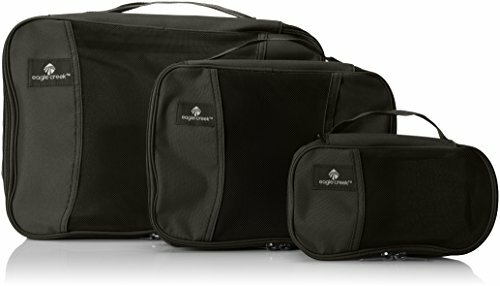 The packing cubes in a set of 3 and includes a large, a medium and a small. The breathable Nylon fabric will allow you to store some damp clothing as well!! How fabulous for when you need to pack and those swimmers aren't completely dry yet!! The inner fabric lining means that the edges will never fray and neither will the zipper ever get stuck in the mesh outer layer! They happen to be the #1 top travel accessory on Amazon and they also proudly take the place of the bestseller among packing cubes! Honestly, there is no need to look further! My only advice is to get one set of the Eagle Creek Compression cubes if you know you are limited in space. A combination of both packing cubes gives you the best of both worlds. Grab a set now, you won't be disappointed! Still not sure? Why not ﻿﻿﻿﻿read our in-depth eBags Packing Cubes review﻿﻿﻿﻿. What I love about the TravelWise luggage cubes is that they come with a 100% satisfaction guarantee! If these babies don't meet your expectations, you can simply ask for a refund! They are lightweight and durable! And comes in a handy set of 5 cubes! Which is great as you will most likely only need to buy this one set for all your packing needs! These packing cubes come in a variety of colors, including: black, lavender, blue, lime green, pink, silver and teal. Guaranteed to meet your standards - or return it for a refund! What have you got to loose! They are lightweight and won't add much to your baggage weight! These luggage cubes are durable and made from high quality materials! Available in 5 different color options! Comes with 2 way zippers which makes them so much easier to use! Machine Washable packing cubes - Cold Wash on a Gentle cycle will clean these cubes up quick smart! The mesh layer could allows better visibility of the entire cube rather than just the middle section of it. The zipper pulls could be better quality. 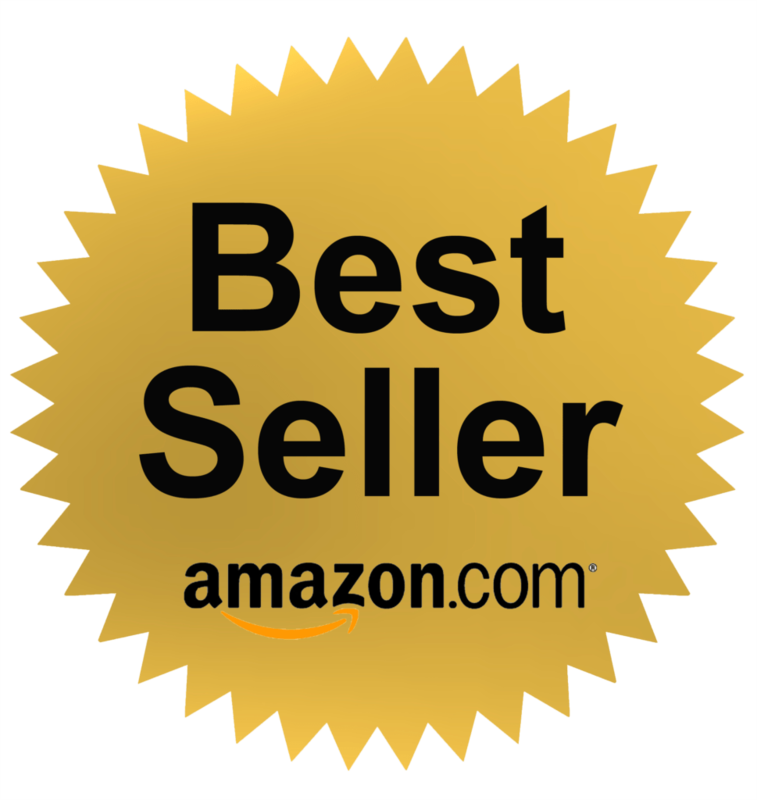 Over 80% of the buyers on Amazon gave this product a full five star rating. It goes to show that this company feels confident in offering a 100% satisfaction guarantee because the majority of people who bought these luggage cubes, absolutely loved them! After all, what do you have to loose? If you don't like them, simply return them for a full refund!! Give them a try! You know that an item is a popular item when Amazon wants a piece of the action! They saw that the packing cubes were selling like hot cakes so went ahead and created their own line! Unfortunately whilst these packing cubes are cheap packing cubes and we do love the price-tag; the quality could be improved. These travel packing cells come in a variety of colors, including: black, blue, green, gray, red and sky blue. They are the best lightweight packing cubes and very durable! 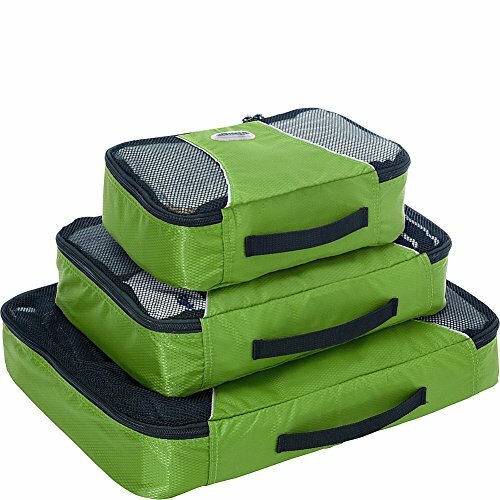 The packing cubes in a set of 4 sizes - slim, small, medium and large! Comes with a handle so you can either carry it or hang it up in the cupboard. Double zipper pulls to make opening of the packing cubes a breeze! Machine Washable - Cold Wash on a Gentle cycle will clean these cubes up quick smart! Overall the quality of the packing cubes could be better! They might be cheaper than the rest, but you get what you pay for! We love the price of these packing cubes! We love the feature of the easy to carry handle! What we don't love as much is the fact that the quality just doesn't seem to have the same feel as the packing cubes mentioned above! Hopefully this will be improved in the future! I guess you get what you pay for!! Yes, a second set of Eagle Creek packing cubes has made it to our top 10 list of packing cubes, and for a reason. Eagle Creek Travel Gear packing cells are a bit less slim to the previous model higher on the list, but these cells are creating a class of their own. When it comes to a three set, these guys are your both, lightweight and heavy-duty packing cubes. These packing cubes come in a variety of colors and designs, including: black 3-pack, black with slim tube cube, blue sea 3-pack, blue sea with slim, red 3-pack, red with slim, strobe green and white strobe. Heavy-duty design, modern and lightweight at the same time! Well made, strong stitching and anti-bulge fabric. Come from a highly respectable and recommended brand. 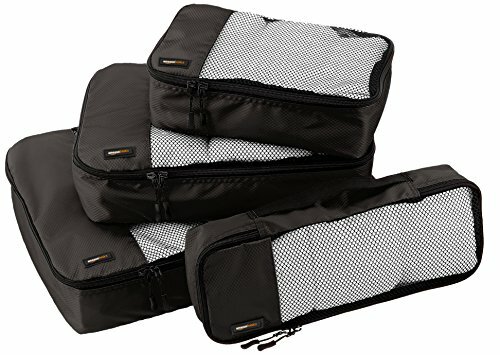 These packing cubes come in the set of 3. Plenty of colors to choose from . These Eagle Creek Pack-It cubes are slightly bulkier to the previously reviewed Eagle Creek packing cubes higher on the list, but they too deserve a spot on the top 10 list of best packing cells. These packing cubes are very well made, strong, durable and also come in an on-trend design and well chosen color scheme. Both thumbs up here as well! Another quick look at the best packing cubes 2019 has to offer! Which brand will provide you with the best packing system solution for your next destination? Disclaimer: Wanderlust Storytellers is a participant in the Amazon Services LLC Associates Program, an affiliate advertising program designed to provide a means for sites to earn advertising fees by advertising and linking to amazon.com and its partners. Amazon and the Amazon logo are trademarks of Amazon.com, Inc. or its affiliates. Thank you for your using our links in our best packing cubes reviews 2019 and helping us to stay in business!